The movement for women’s suffrage gained momentum throughout Europe at the turn of the century. Among German political parties, the Social Democrats were most vocal in their support of women’s rights, including voting and equal employment rights. 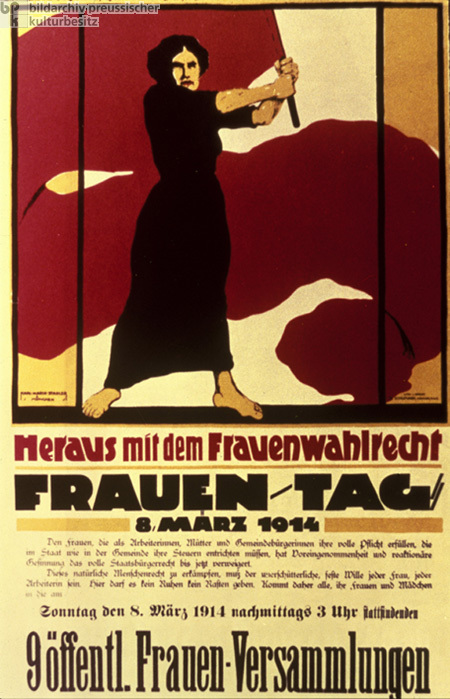 In accordance with a proposal by activist Clara Zetkin (1857-1933), March 8th was officially designated as International Women’s Day and first celebrated in 1911. This holiday was meant to give women a special opportunity to voice their demands. The activists reached their goal five years later when women in the Weimar Republic were granted the right to vote.